When it comes to casino bonuses, online casinos are always trying to ensure better deals for new players than their competition, as a means of getting them to sign up and play on their casino site. One thing that players first notice when they join an online casino is the ever-changing nature of them, with operators always seeking to make improvements as a way of staying relevant in a highly-saturated market, as well as hoping to capture the imagination of new customers. Playing at casinos online is now one of the most popular activities to take part in and there are plenty of reasons as to why this has become such a phenomenon. Firstly, players can access these sites 24 hours a day, seven days a week, which has enabled them to play whenever they want, instead of having to abide by opening and closing hours with land-based operators. Another reason why online casinos have grown in popularity is because of casino bonuses that aren’t available in physical casinos. Online casinos look to their promotions and bonuses as a way of gaining a leg up on their competition and as a way of enticing new players to their site. There are many different casino bonuses and welcome offers offered on online sites and they can be used on many different games, including slots, poker, blackjack or roulette. Many now offer these online casino bonuses alongside other great offers as a way of getting players to register, sign up and play the games. At 32Red Casino, new players are welcomed with a superb welcome offer that is effectively a first deposit bonus. A first deposit bonus is a simple concept and it means that players receive a bonus from the casino up to a certain amount when they’ve made a first deposit on the site. At 32Red Casino, players will receive €32 for every multiple of €10 deposited on their first purchase, up to €160. To claim this offer, players must sign-up, register and make a deposit using debit card, credit card or PayPal on the site and their bonus will be instantly credited to their account. The first deposit bonus will be credited using 32Red Casino’s Fair Play bonus system which allows players extra flexibility. There are no restrictions on when you can make a withdrawal from the bonus, but they enforce a reduced wager limit until playthrough has been completed. Once that has been done, the larger limits will be reinstated. 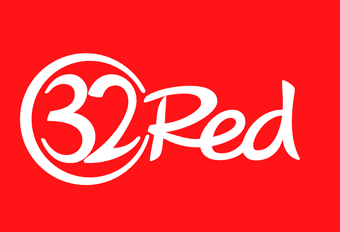 There is a plethora of promotions signposted on the 32Red website, all found under their dedicated section on the website. It’s also been laid out in a fashion that’s exceptionally friendly to users and players and they can easily identify all the different types of promotion and bonus on the site. There are large red headers outlining all the offers that are available, including no deposit bonuses, first deposit promotions, as well as daily offers including Ruby Tuesday, a Live Roulette Bonus and the exclusive Club Rouge for invited members! A very exciting advancement in the world of online casino is the introduction of mobile gambling. Mobile gaming and mobile casino play has revolutionised the world and has allowed players to enjoy their favourite games, whether its blackjack, roulette or poker, from wherever they want, whenever they like. This increased accessibility has helped to entice a different type of player to enjoy the same sort of thing that experienced casino-goers have enjoyed for years. Playing on both tablet and smartphone devices has completely changed the gambling industry and has made gameplay much more accessible to those who play. When you accept any promotions, whether it’s free spins, no deposit bonuses or any other bonus or cash prize, you must first check the specific terms and conditions of use for your bonus before enjoying it. There are usually wagering requirements to check before taking part. Wagering requirements are a key factor in any welcome bonus, as you must meet them in order to unlock the winnings from the bonus. At 32Red Casino, these are set at 50x, meaning that players need to wager their bonus 50 times before being able to make a withdrawal. It’s also important to check the game contribution towards playthrough. Players must make a minimum deposit of €10 to take advantage of this bonus and debit cards, credit cards and PayPal are the only accepted payment methods for this promotion.